Ginger orange cookies - SCD & Paleo and perfect with a coffee! There is something so comforting about these ginger orange cookies. I’m having a little orange zest obsession lately. I don’t know how I have overlooked it before as it is really taking my baked goods to the next level! 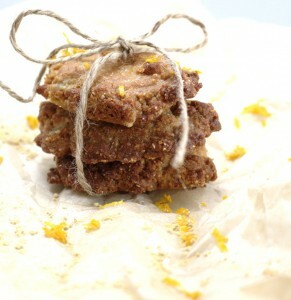 The spice from the ginger and the zing from the orange zest make these cookies so delicious. My only problem is trying to keep them away from my hungry little daughter! I can’t help but think these cookies have a little Italian feel. Many traditional Italian biscuits are made using ground almonds so I guess that explains why. That must also be the reason these taste amazing with a proper Italian espresso! I absolutely adore a good Italian coffee but my tummy doesn’t always thank me. Recently, I started to look into caffeine-free brands of ground coffee. Elaine Gottschall advises in “Breaking the Vicious Cycle” that decaf coffee is not allowable due to the chemicals added during the decaffeination process. However, since she wrote her book outlining the Specific Carbohydrate Diet, two natural methods of coffee decaffeination have been developed: the Swiss water method and the C02 method. Neither method uses chemicals to remove the caffeine so I’m guessing they would be SCD-legal. Some brands still use the chemical methods so if you’re not sure then definitely contact the manufacturer for clarity. I haven’t tried these out yet but I’ll let you know when I do! I like to make a batch of these ginger orange cookies if we’re having friends over for a casual coffee or tea and they always go down a treat. They’re so easy to make and take only ten minutes to bake in the oven. For best results, leave them cool for about an hour before eating. I’ve often not been able to wait that long myself though! 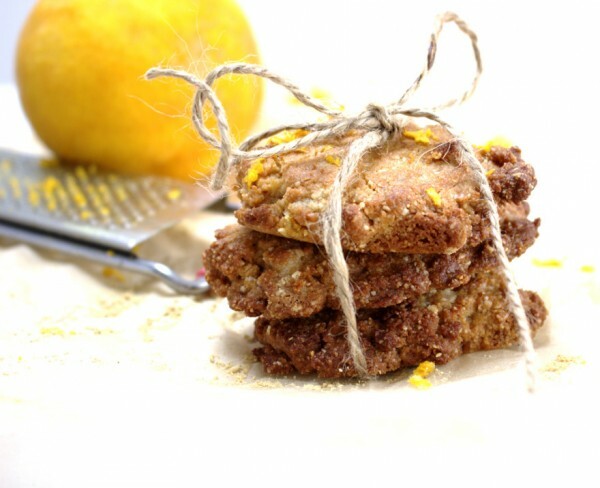 Delicious ginger orange cookies similar to traditional Italian coffee biscuits but free from: gluten, grains, dairy and refined sugar-free. Paleo and Specific Carbohydrate Diet (SCD) -friendly. In a blender, blend all the ingredients until well combined. Scoop small spoonfuls of the mixture and place on two trays lined with parchment paper, spaced evenly apart. Bake for 10 minutes. Allow to cool and crisp up before enjoying with a good Italian coffee! i was just wondering were do you get you almond flour from . Thanks for that, appreciate. I will have a look. Were in England and great website BTW.